Print out of the stencil you are planning to make -- Make sure it is a silhouette as you will not be able to do shading with horse hair. 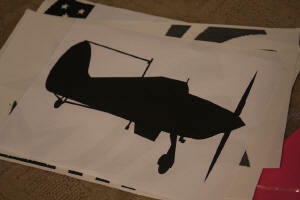 In my example above I removed that thin line going from the cockpit to the tail as that is too thin to see in the hair. 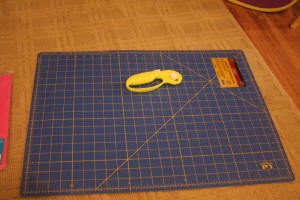 Cutting Supplies -- I use a cutting mat and rotary cutting tool. I will also use a razor blade for cutting small areas. You may be able to use scissors depending on your design, but I suggest having a cutting mat or board to cut on if using a razor. Scissors -- Used to cut the printout and possibly the stencil. 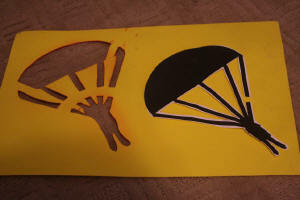 Fun Foam or Poster Board -- This is what I make the stencil out of. Originally I used poster board however this year I went with Fun Foam to see if it lasts longer but still has a nice flexibility. 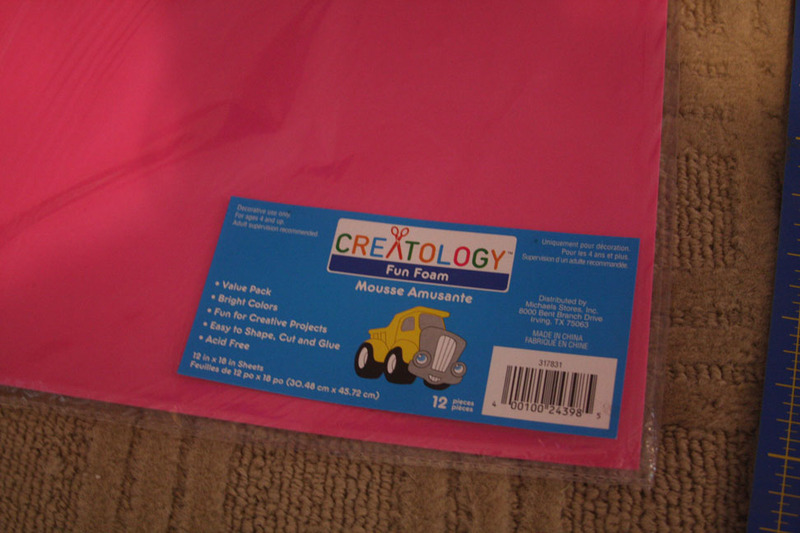 Although there are times when the design is to big for the fun foam so you may need to use poster board in that case. If this is the first time you are going to body shave, choose something simple like stars or hearts. Also if this is your first time I suggest making your stencils slightly bigger than what you want, you can always clip the hair down to make it smaller, however this gives you room to make mistakes when clipping. 2. Place the cutout on the fun foam and trace the design with a pen. 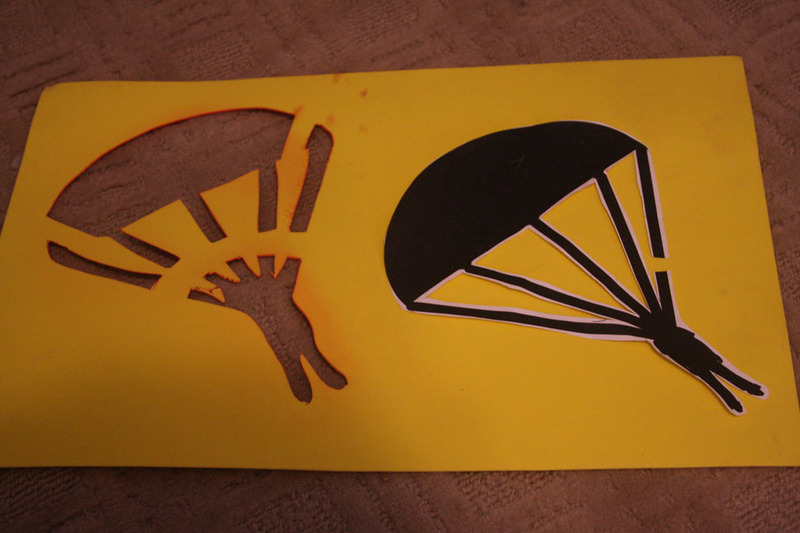 If the design has internal pieces that need to NOT be cutout like my example of my paratrooper and superman symbol (below) you need to think your design through (think about when you see stencils for the letters O or Q, how there is a line connecting the inner piece to the outer). You want to make sure the stencil is all one piece so you will need to leave spaces that link them together and make a note of it so when you spray the stencil on the horse you will know that you need to look at the original design while shaving. This is why on intricate designs like my paratrooper and superman symbol (I did in previous years) I have an opposite stencil which is basically the original cutout and I will hold this up to the painted section and use it as an additional guide. 3. 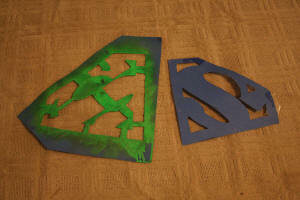 Use a razor and/or scissors to cut your design out of the fun foam. I use a rotary tool and cutting mat. If the design is so big it touches comes within an inch of the edges of the foam I suggest you use poster board which you can find in bigger sizes and this will give it more stability. 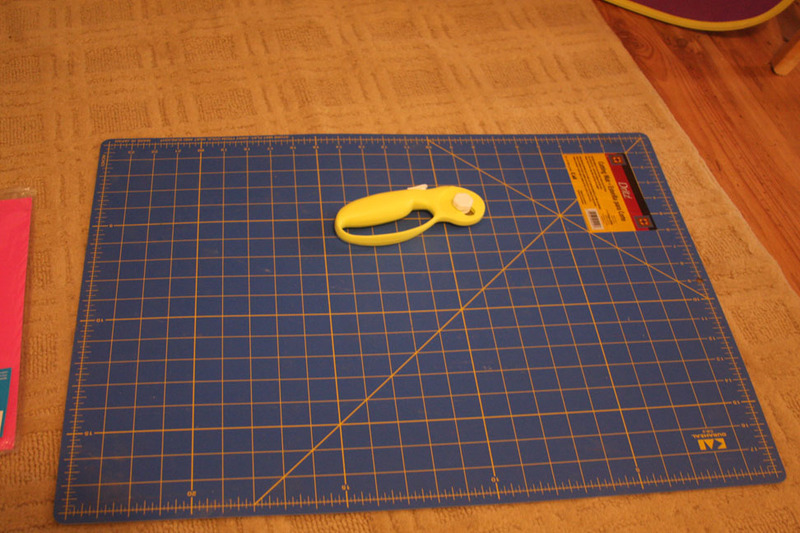 REMEMBER if you are using any type of razor to cut the stencil do it on a cutting mat or cutting board. All Done!! 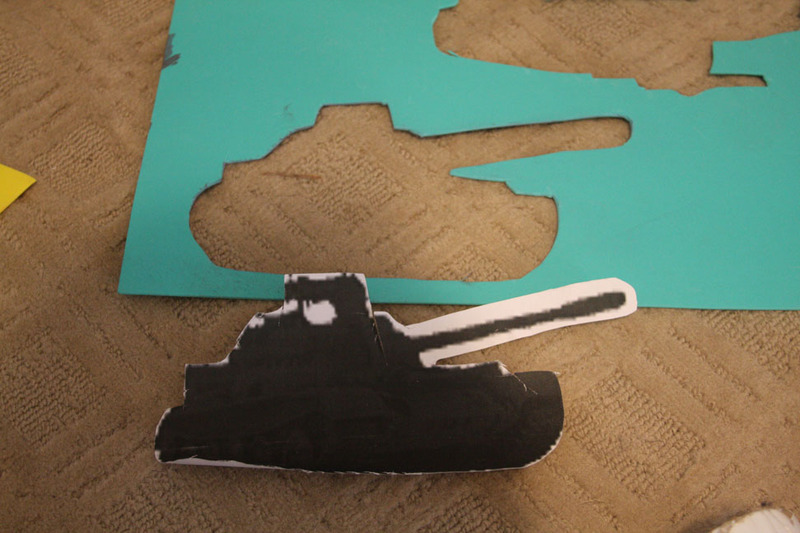 Here are my paratrooper, tank and superman, notice the paratrooper cutout does not look like the original in black printout. This is because if I did cut it exactly the same the spaces in between the ropes would not stay in place.